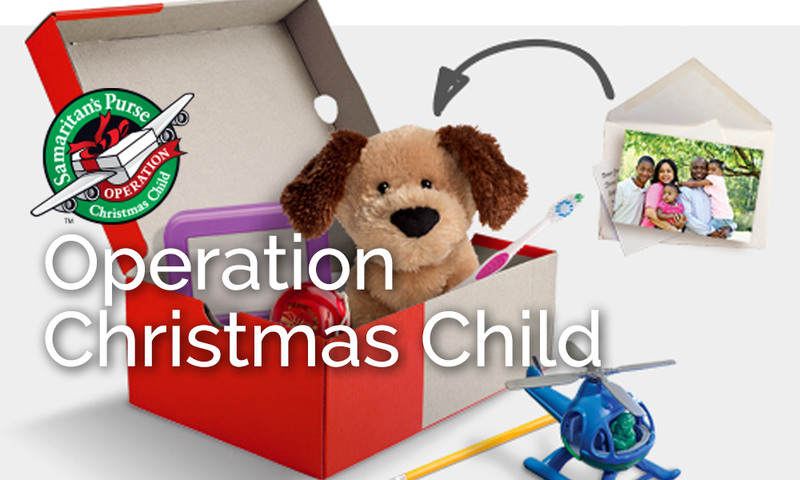 Lutheran Church of the Cross Ministries is participating in Operation Christmas Child for another year. It is a great opportunity for you and your family to join us. The amazing journey of a Shoebox Gift through The Samaritan’s Purse “Operation Christmas Child” Program begins with you and results in evangelism, discipleship, and multiplication. Beginning this weekend at church, pick up an empty shoebox and fill with gift items to bless a child in need around the world. Packing instructions and guidelines are included with each box; shipping is $9 per box. (Please, no candy and no toothpaste; toothbrushes are OK). Filled boxes can be dropped off at either campus through November 19th.